Warioland II © 19?? Unknown. 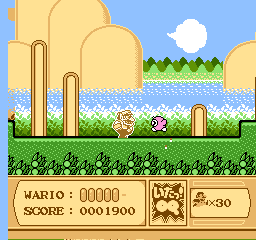 A pirate hack of "Kirby's Adventure" featuring a Wario sprite as main character.